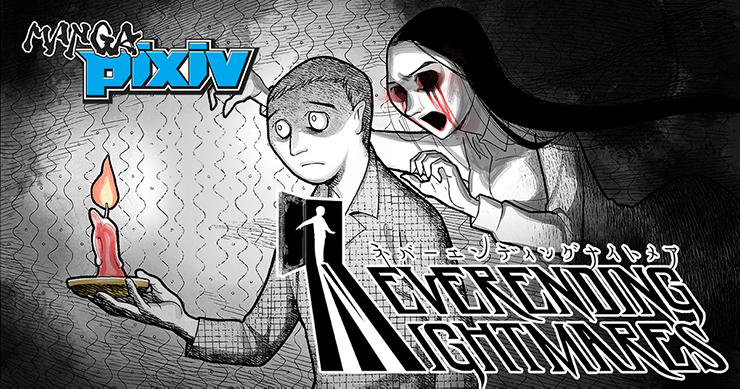 Neverending Nightmares manga adaptation, based on the popular horror game, launched on the manga app pixiv Comic and on pixiv's original manga label MANGA pixiv on November 29th, 2017. Neverending Nightmares is a horror game released in 2014 and created by Matt Gilgenbach. The game was inspired by its creator’s personal struggles with depression and OCD. It became a big hit, and more than 84K related videos were posted so far on NicoNico Video, YouTube and other websites, totaling more than 20 million views. The protagonist is Thomas Smith, and he jumps from a nightmare to another while wandering around his own inner psychological world. Thomas, suffering from a seemingly-endless string of nightmares, will have to travel from dream to dream while aiming to wake up in the real world. The manga scenario was written by Sunplant Co. Ltd, a company that also worked for the manga adaptations of free games such as Gokuto Jihen (Underworld Capital Incident) and Daikaigen to Daikaigen (Wadanohara and the Great Blue Sea). The art is by Katou Kata, author of the popular manga You Sobo to Mago no Hanashi. Thanks to both parties, the world of Neverending Nightmares was beautifully reproduced in its manga adaptation. The manga Neverending Nightmares will be available in English and Chinese (simplified and traditional). The Japanese version will be published on “pixiv Comic”, while the international versions will be published on pixiv’s “MANGA pixiv”. 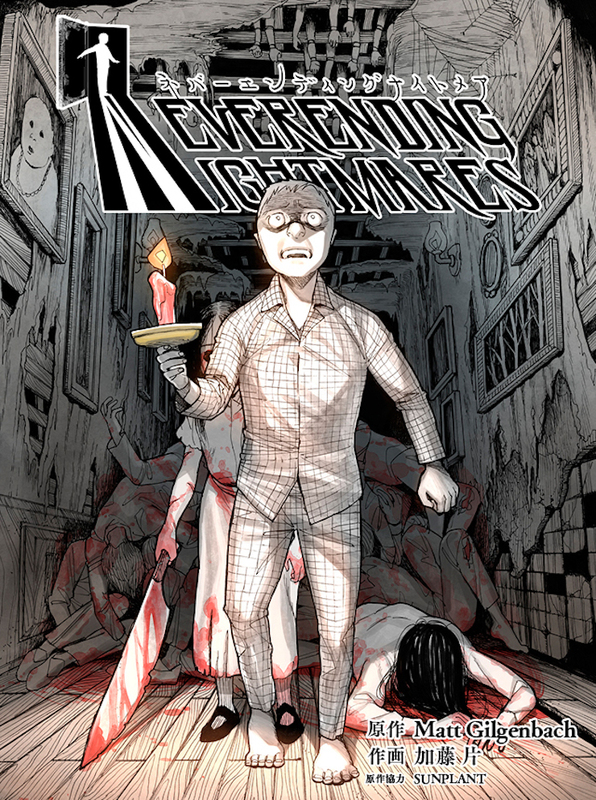 Find the international version of the Neverending Nightmares manga here! In addition, we are glad to announce that the Neverending Nightmares game app launched on November 28th, distributed by Infinitap Games, the original development company behind the video game. Don't miss this chance to play Neverending Nightmares on your smartphone!